Acupuncture enhances weight loss and improves blood chemistry in patients with simple obesity. 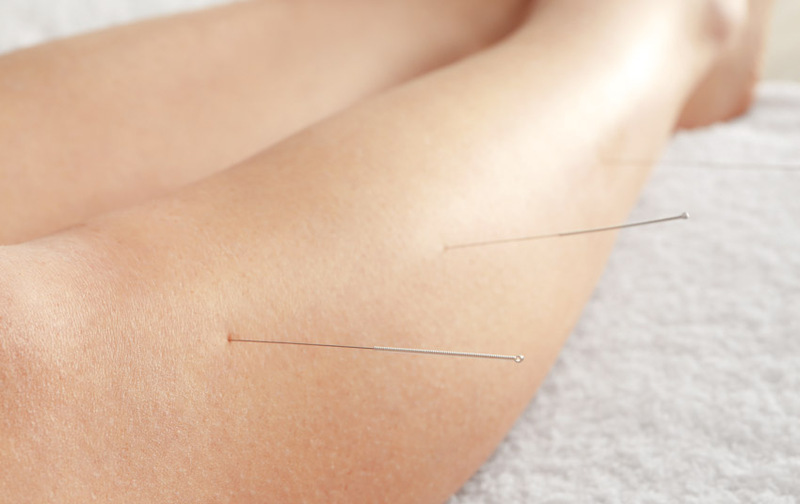 Researchers tested the efficacy of warm needle acupuncture by adding it to a weight loss dietary program. Patient outcomes improved significantly for patients receiving acupuncture plus dietary therapy when compared with patients receiving only dietary therapy. Researchers at the First Teaching Hospital of Tianjin University of Traditional Chinese Medicine (department of acupuncture and moxibustion) conducted a clinical trial consisting of sixty patients with simple obesity. They were randomized to receive either standardized dietary education plus warm needle acupuncture, or dietary education alone. The warm acupuncture group was comprised of 14 male and 16 female participants ages 19–45 years (mean age 30.3 years). They had obesity for a mean duration of 5.5 years and had a mean body mass index (BMI) of over 30, indicating clinical obesity. The control group was comprised of 13 male and 17 female participants ages 18–53 years (mean age 32.0 years). They had obesity for a mean duration of 6.0 years and had a mean BMI over 30. There were no statistically significant differences in gender, age, duration of disease, or BMI at the beginning of the study period. For inclusion in the study, patients were required to be at least 18 years of age with a clinical diagnosis of simple obesity in line with both biomedical and traditional Chinese medicine (TCM) criteria. Patients with serious heart, liver, or kidney dysfunction, poor coagulation or bleeding disorders, and infectious diseases were excluded from the study, as were pregnant or lactating women and patients unable to comply with treatment due to dementia or psychological disorders. No other weight loss treatments were permitted for one month before commencement of the study. The diagnosis of clinical obesity is generally determined using BMI as a measure. A BMI of 18.5–25 is considered healthy, and a BMI of 25–29.9 is considered overweight. A BMI over 30 is considered clinically obese. For patients in the latter group, secondary obesity due to endocrine, hypothalamic, or congenital disorders must be excluded in order to make a diagnosis of simple obesity. From a TCM (Traditional Chinese Medicine) perspective, simple obesity is caused by the accumulation of excessive dampness and phlegm. Other possible symptoms of this diagnostic pattern include headaches, weakness of the four limbs, abdominal distension, loose stools, generalized heaviness and swelling, lack of thirst, and cough with expectoration. For this diagnosis, the tongue has a sticky, white coating and the pulse is taut, slippery, and soft. The patients were treated while resting in a supine position using 0.30 × 40mm or 0.30 × 50mm disposable filiform needles. All acupoints were needled bilaterally and stimulated using a reducing technique. After the arrival of deqi, needles were retained for 30 minutes. Warm needle acupuncture was applied at the acupoints Hegu, Tianshu, Zhongwan, and Zusanli. These points were warmed by igniting a piece of moxa, approximately 2cm in length, attached to the needle handles. This process was repeated for each of the aforementioned points 2–3 times per treatment. Treatment was provided on alternate days for a total of eight weeks. At the end of the eight week study period, the two groups underwent assessment and comparison in the areas of BMI, body fat percentages, body adiposity index (BAI), serum triglycerides, total serum cholesterol, LDL cholesterol, and HDL cholesterol. In both groups, BMI, body fat percentages, and BAI decreased by the end of the eight week period, with the greatest decreases ocurring in the acupuncture group. Patients with a body fat reduction of 26% for men and 30% for women, resulting in a BMI of 26–27 were classified as fully recovered. For patients with a 5% reduction in body fat and a reduction in BMI of over 4, the treatment was classified as highly effective. For patients with a 3–5% reduction in body fat and a reduction in BMI of 2–4, the treatment was classified as effective. For patients with a reduction in BMI of under 2, the treatment was classified as ineffective. In the acupuncture group, one patient fully recovered and there were 16 cases of highly effective, 10 cases of effective, and 3 cases of ineffective treatment, yielding a total effective rate of 90%. In the dietary program monotherapy control group, no patients fully recovered. However, there were 11 cases of highly effective, 8 cases of effective, and 11 cases of ineffective treatment, yielding a total effective rate of 63.3%. To assess triglycerides, total cholesterol, LDL cholesterol, and HDL cholesterol, fasting samples of venous blood were collected before and after the treatment period and underwent biochemical analysis. In both groups, triglycerides, total cholesterol, and LDL cholesterol levels reduced by the end of the study, and HDL cholesterol levels rose. These improvements were all greater in the warm needle acupuncture group, and the improvements in triglycerides and total cholesterol were statistically significant. The results of this study indicate that warm needle acupuncture effectively enhances weight loss achieved by dietary adjustments. In addition, it improves serum triglyceride and total cholesterol levels, while decreasing harmful LDL cholesterol and increasing beneficial HDL cholesterol levels. The researchers note that these findings indicate that warm needle acupuncture may help reduce the risk of cardiovascular disease, heart attacks, and strokes in obese patients, as well as helping them to achieve a healthy BMI. To find out more, contact a licensed acupuncturist in your area. 1. Li Wei-qin, Jiang Wei, Liu Jian (2018) “Treatment of Simple Obesity Patients with Phlegm Dampness Stagnation Syndrome with warming Needle Moxibustion” Acupuncture Research Vol. 43 (8) pp. 522-525.